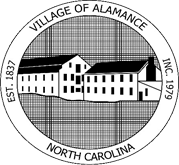 The Town Hall is particularly special to the Village of Alamance. Since the Town was incorporated in 1979, officials have met and worked in a variety of places without a true home to call their own. They graciously operated out of Patterson Family Dental Care’s building with a separate entrance on the first floor for many years. Previously, they worked out of the Alamance Lutheran Church. In 2005, a new Town Hall was erected as the Village of Alamance administration’s headquarters. It is located at 2874 Rob Shepherd Drive in Burlington, NC, 27215, which neighbors the Village of Alamance. The building provides professional offices, meeting rooms and regular assembly space for public Town Hall meetings. Town Hall meetings are held monthly and open to the public. or email us as we are happy to help!